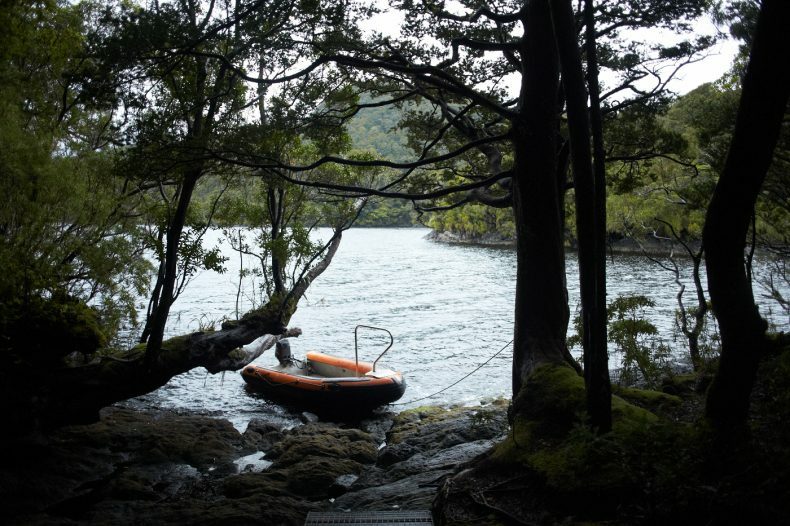 In November 2016 I took part in a field trip to remote Tamatea, or Dusky Sound, in Fiordland. Together with natural history scientists including a designated photographer, our team spent 10 days in the sounds sailing on board the Te Papa Atawhai vessel Southern Winds. My area of interest was to visit sites of encounter which took place in 1773 between takata whenua of Tamatea and foreign visitors from afar during Cook’s second voyage. As I whakapapa to iwi who have long frequented Fiordland and Tamatea, be they Kāti Māmoe or Kāi Tahu, or the earlier peoples of Waitaha, Rapuwai and Hāwea, and as these parts are so remote and relatively inaccessible, I gladly seized at the opportunity to participate in this visit. 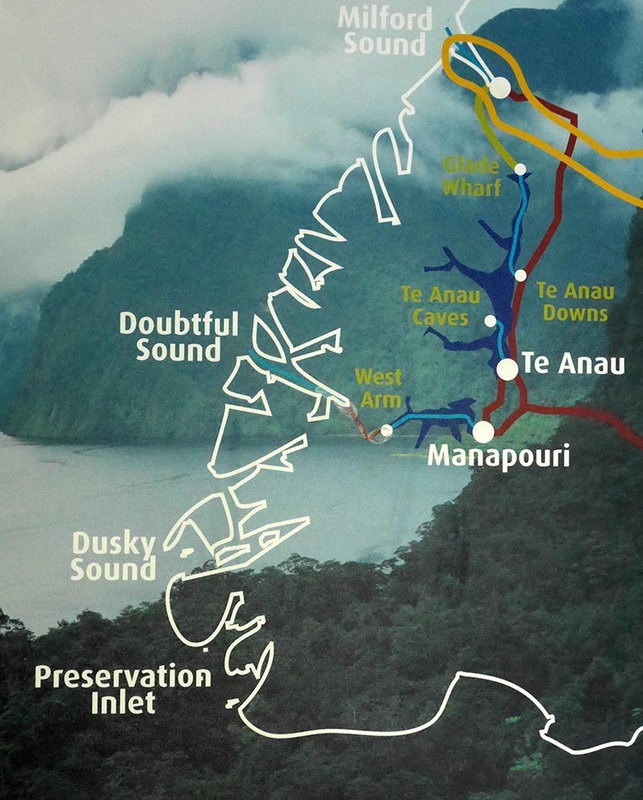 My visit to the point on Mamaku: a site loaded with bicultural significance. I was particularly keen to see a small rocky point or headland jutting from the north-eastern end of Mamaku, Indian Island. Cook called the island ‘Indian Island’ upon account of having met and befriended Indians there, the indigenous people of Tamatea. The point and the man met at that place have been immortalised by Cook’s artist William Hodges. Having visited though, it’s clear to me that his painting – shown below – which was completed in England after the voyage, offers a very romanticised and loose re-imagining of this locality. For example in reality the colours are more stark and there is definitely no country lane leading off to the right! It was important for me to not just visit this locality, but to piece together and retell the events which took place there from a takata whenua perspective. The encounter has historically so often been told from a Colonial point of view with Māori relegated to the position of ‘exotic other’ or ‘noble savage’. It was on Mamaku, on the evening of 6 April 1773, that a Māori man of about 60 years of age, and likely of Kāti Māmoe iwi [i], initiated a close encounter with visiting Europeans, resulting in ongoing daily contact with Cook, his officers, and crew for a couple of weeks. It was nine days after the ship Resolution had sailed into the sound and anchored at nearby Whetū, which Cook named Pickersgill Harbour. For several days very strange goings-on had no doubt been observed by local takata whenua, who themselves were visiting Tamatea as part of their seasonal travels to stock up on food supplies including birds, fish, and seals, before the cold winter months set in. 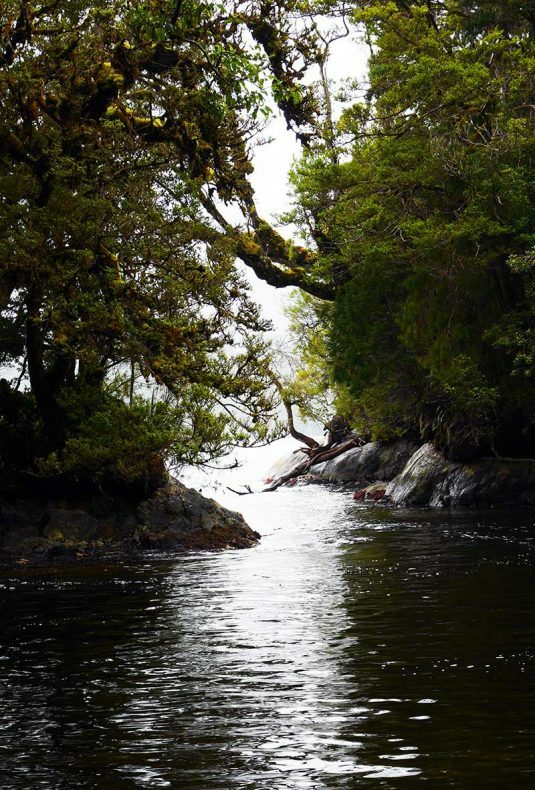 An alien-looking ship had sailed into the sound and laid anchor – the unprecedented noise of volleys of gunshot rang out for days on end as the European visitors replenished their supplies, and some 100 trees were felled on nearby Astronomer’s Point to create a clearing. Soon after the Resolution’s arrival, two double-hulled waka had paddled out around a headland, stopping a half mile away to observe the ship and then depart. Later that same day a waka containing eight people, including an older bearded man at the rear in control of the steering paddle, approached quite close to the ship and gazed ‘with the utmost surprise’ (Salmond 1998:50) at the Europeans. They departed after satisfying their curiosity. It is not known if the tall[ii], ‘elderly’, bearded man who made his way out onto the rocky point to hail a long boat making its way back toward the ship was involved in any of the earlier encounters, although he may have been. A ritual of encounter took place between the man and the occupants of the longboat, during which the man brandished his wooden ‘staff of destruction’ – possibly a taiaha (maipi in southern vernacular) or pouwhenua. The leader of the small party of men who stepped ashore from the long boat was none other than that hero of British exploration and imperial expansion Captain James Cook. Two wāhine soon came out from nearby concealment to join the man, who given his age and the era in which he lived, can arguably be called a kaumātua. One of the women was somewhat younger than he, the other considerably younger at about 22 years old. Each held a long bird spear. The greeting continued despite both parties being hampered by a mutual lack of familiarity with each other’s customs. Gifts of handkerchiefs and white paper signalled the visitor’s peaceful intent. The greeting culminated in hongi. A level of trust was established and was built upon by regular contact and further generous two-way exchange of gifts over the days ahead. The following day when the Europeans returned, all eight members of the ‘whānau’ group were present, including also a girl of about 16 years old, a boy of about 14, and three younger boys. They were all living nearby in two wharerau – makeshift conical-shaped huts covered in bark and harakeke leaves. The wharerau were located by a small creek of a concealed harbour, which the Europeans dubbed ‘Canoe Harbour’. A double-hulled waka was moored in the creek, tied to a tree. The reo-a-iwi or dialect spoken by these people was almost unintelligible to Cook’s party, even though some familiarity with Te Reo Māori had been gained by their interpreter, Gibson, during the earlier visit to New Zealand on the Endeavour voyage. On 19 April, some 13 days after first contact with the Europeans, the kaumātua and the 22-year-old woman visited on board the Resolution. The visit followed much persuasion from Cook and a whānau quarrel over the matter. Prior to going on board the man fixed a white bird skin adornment to one ear and broke off a branch of greenery. He recited karakia while striking the greenery against the ship. They both ventured aboard by way of an outreaching branch. The kaumātua stamped the deck several times and they were then shown around marvelling at what they saw. Further gifts were exchanged. The officers demonstrated firing their muskets and the kaumātua took his turn. As the shots rang out the young woman threw herself onto the deck in fright. During this visit they were told of unclaimed gifts left at nearby Te Unu-o-Momotu, Cascade Cove, during an earlier unsuccessful attempt by Cook’s people to establish contact with some of the whānau frequenting Tamatea at that time. It is thought about five to six whānau groups occupied Tamatea at various times during the visit of the Resolution (Salmond 1998:64). After retrieving the gifts and briefly revisiting the Europeans the whānau from Mamaku departed for good. Much speculation has been made about what happened to them afterward, but essentially the tribal and historical records don’t recall. The encounter that begun on the small rocky point of Mamaku in 1773 is a particularly significant historical event for Māori from the far south. It represents their first meaningful encounter with Pākehā from the outside world[iii]. For Cook the encounter was one of many he had made during his visits to Aotearoa, carried out as part of their official agenda to establish peaceful contact with the various native inhabitants encountered. It appears that good will was extended from both sides on this occasion. [i] This tribal identification is informed by southern tribal history and also by the distinctive dialect spoken by the people at Mamaku in 1773. [ii] ‘Tall’ by European standards of the time. The average height of European men in the 18th century was about five feet, two inches (Salmond 1991:15). [iii] Salmond (1991:262) records that on 14 February 1770 four double canoes carrying 57 men approached the Endeavour when it was quite some distance off Kaikoura Peninsula. After observing the ship for a period they returned to shore and that was ‘the last Maori people whom the Endeavour party encountered.’ The ship had previously visited locations in Te Ika a Maui, the North Island, and also Totaranui, Queen Charlotte Sound. Whale tales of Dusky Sound: Nice smile, pity about the breath! Kia ora Dougal, so good to read about the rellies in the Sounds. And the rellies’ sounds – ka wananei. I am jealous you got to stand in that spot. Mauri ora!